This was my first time making and using a biga, also called a poolish. It takes a little bit longer, but made for a softer crumb. Delicious...and worth the effort! 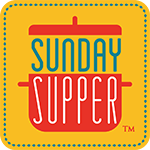 In a large mixing bowl, mix together all of the ingredients except for the salt and rosemary. Stir with a wooden spoon until the dough comes together. Turn the dough onto a floured surface and knead until the dough is smooth and elastic. It took me about 8 minutes. After an hour, divide the dough in half. Roll the dough into a cylinder, tucking the ends of the dough neatly underneath to form a chubby baguette. Line a baking sheet with parchment paper and transfer the log of dough to the sheet. Sprinkle the top with salt and rosemary. Space the loaves so they have room to rise. 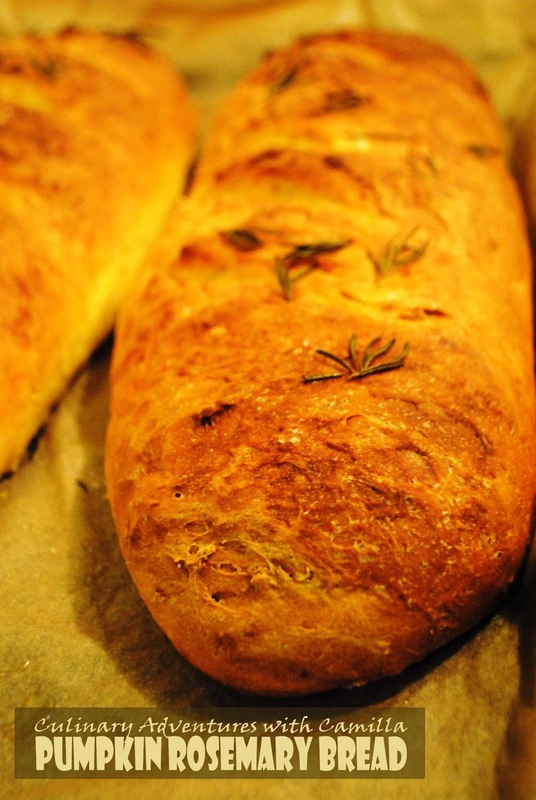 Let bread rise for 2 to 3 hours. Such a beautiful loaf! 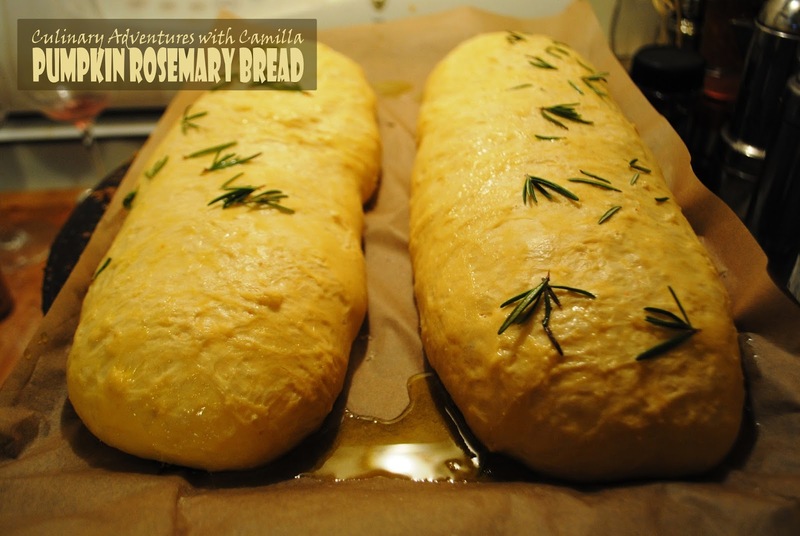 I love that you added rosemary...it sounds divine! 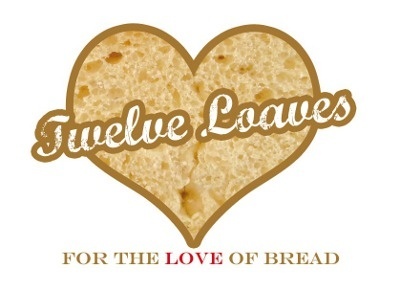 These loaves are fantastic! I bet they'd be right at home in a Thanksgiving bread basket. I am so tempted to join this group with you but I think I will wait until next year and see how my time frame is. Rosemary and pumpkin...love this idea, Camilla !I agree with Heather-just perfect for Thanksgiving! How great that you showed how to make pumpkin puree. I took the easy way out and used the canned variety but I'm sure homemade is so much better! Rosemary and pumpkin sound like a wonderful combination of flavors. Thanks for baking along with us this month! That sounds so good, and the addition of rosemary is so perfect. 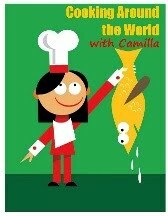 Love that you've included agave in this recipe, Camilla. And the look and sound of crusty bread has this Ninja Baker smiling! 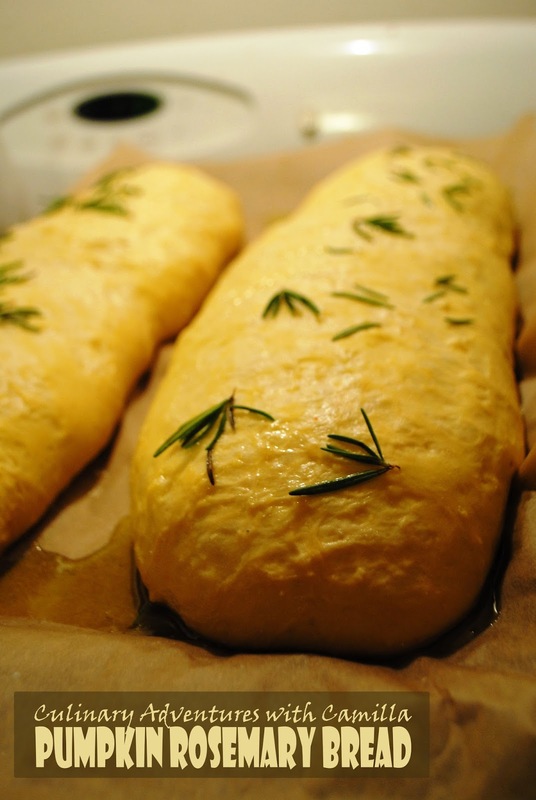 Ah, rosemary… These look beautiful, Camilla. Thanks for sharing the recipe. 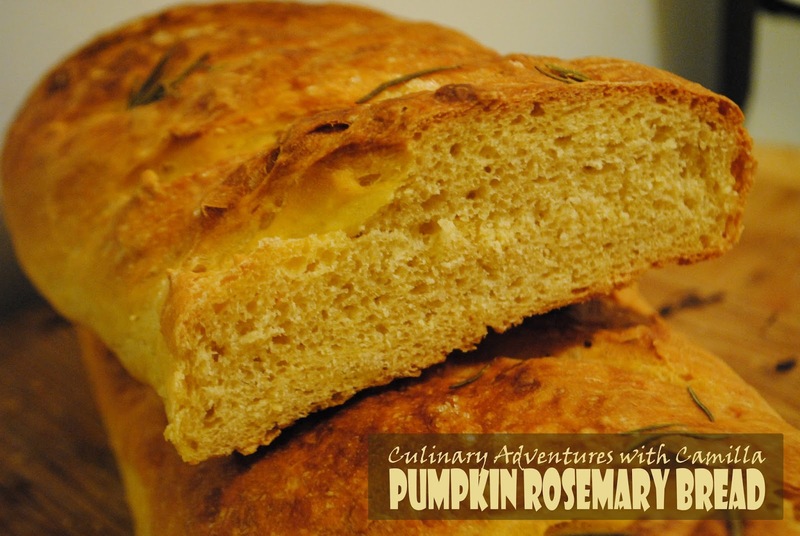 Love your combination of rosemary with the pumpkin! Yum.